The Friends of the Palm Springs Animal Shelter is seeking a highly reliable, dependable, and thorough part-time Animal Care Attendant (ACA). The Animal Care Attendant (ACA) is responsible for overseeing the appropriate care of animals including but not limited to: feeding, watering, socializing, exercising and enrichment. The ACA is also responsible for ensuring that all animals are provided with clean and humane living conditions within the shelter. At The Palm Springs Animal Shelter our first priority is the animals! Friends of the Palm Springs Animal Shelter (Friends) is a non-profit 501C(3) organization who manages and operates the Palm Springs animal Shelter. The Palm Springs Animal Shelter is an open admissions municipal shelter, operated by Friends of the Palm Springs Animal Shelter, serving the city of Palm Springs. 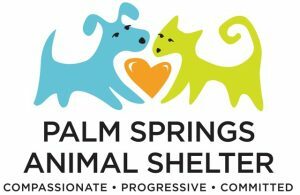 The Friends of the Palm Springs Animal Shelter’s mission is dedicated to building a community responsible for pet stewardship and human treatment of animals. If you are ready to take on this exiting position and are passionate about animal welfare, we can’t wait to hear from you! • Course work towards a Bachelor’s degree highly preferred. • At least One (1) year prior animal handling experience which may include prior experience working at an animal hospital, animal shelter, or a pet speciality retailer such as Petco. • Ability, desire and passion to work with dogs, puppies, cats, and kittens. • Prior customer service experience. • Basic knowledge of animal care. • Ability to understand surroundings and approach shelter animals with caution as necessary. • Ability to use a computer which includes, Microsoft Office as well as email. • Must be comfortable working with animals of all types. • Excellent written and verbal communication skill. • Proven ability to manage multiple priorities in a fast-paced environment. • Ability and willingness to work varying shifts, which may include evenings, weekends, and holidays. • A proactive nature, who looks to find solutions to problems instead of just reacting to them, or solving them just to resolve an issue. • Ability to receive constructive feedback and apply both old and newly learned concepts at work. • Humility to ask questions, learn, and improve. • Proven ability with being flexible and comfortable with change. 1. Why are you a good fit for this position? 2. What experience do you have with animal handling? The Animal Care Attendant position is a part-time (29 hours a week or less) position. The Palms Springs Animal Shelter is located at Mesquite and Vella Road. For consideration, please submit a cover letter, resume, and answers to the questions listed in this posting to careers@palmspringsanimalshelter.org. Friends of the Palm Springs Animal Shelter is an equal opportunity employer.